Shabnam is a purpose minded Talent and Organization Development Leader with expertise in Diversity and Inclusion, Employee Engagement, Change Management, Mergers and Acquisitions, Individual and Team Performance Improvement as well as Leadership Development. Shabnam joined Equity Residential in 2011 as the Organization and Talent Development Director with the responsibility of implementing talent management strategies and learning solutions. She recently led the design, development and implementation of a year-long onboarding program for the company’s frontline managers. She created a learning forum for High Potential Leaders. She redesigned the company’s Diversity and Inclusion workshop. She currently facilitates the Equity Values Council. 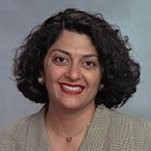 Prior to Equity Residential, Shabnam served in a number of leadership roles in Learning and Development in the Financial Industry where she led acquisition and integration training initiatives as well as performance improvement projects. Shabnam is a culturally aware leader who takes pride in her ability to identify and leverage everyone’s unique value and strength. She is fluent in English, French and Persian with some proficiency in Spanish language. In today’s corporate environment, coaching isn’t just essential to developing talent, but rather an overall HR strategy, that can attract top-notch candidates, engage the existing workforce, and retain talent in a competitive market. Innovative HR departments have thrown out the once-a-year coaching workshops and shifted their focus to embedding these qualities directly into the corporate culture in the form of leaders with well-honed coaching skills. For employees, the benefits come in the form of boosted performance and effectiveness as well as from a mentor who can lay out a clear career plan and areas for improvement. For the company itself, the benefits are increased productivity, high employee engagement and an improved retention rate. Check out the incredible speaker line-up to see who will be joining Shabnam.